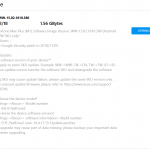 It has been a month since Asus has released a firmware update for ZenFone Max Plus (M1) to Android Oreo. At the same time it has been a sad month for the owners of that phone who went through with the update. The update to Oreo was highly expected and the power users were getting excited about the new features and improved battery life the update would bring. Asus was running late with the update not only in a general sense, but also in regards to its promises: they promised to release the update before the end of July 2018, not giving any reasons why it’s late and estimations on when to expect it. After Oreo has finally arrived in November, power users jumped to update. Even regular users updated, because the update notification on the phone is impossible to dismiss and it always comes back to remind you. Not to ignore, it’s huge and it’s annoying. Loss of connectivity: With no reason the phone loses signal to any network several times a day. Restarting the phone helps until the next occurrence. SIM card not recognized: Similar as above, but the SIM card is not recognized by the phone from the startup. Some users clain+m restart helps, some not. SD card errors: Very serious bug where the phone can not read or write to SD card correctly. If the card is used on a PC or through a reader, contents are normally accessible, but the phone can’t read them. Even worse battery time: Battery usage was very bad with Android 7.0 on this phone, but with Android 8.1 battery usage became even worse, according to must users on the product forum. Some claim battery time of no more of 2 hours of use, which is alarming. Overheating: Together with the battery drain the phone overheats really fast. Zenfone Max Plus was never a cold phone, but with the update users claim dangerously high temperatures. We’ve seen other phones explode or catch fire, so this issue is highly alarming. There are many more smaller issues, bugs, and unfinished work present in the update. Phone freezes, vibrates with no reason and can’t be stopped, user interface is not responsive or slow to react, apps crash often, reload loops and similar easily detectable annoyances. Does Asus know how screwed their update to Oreo is? The important question here is if Asus knows that it released such a bad piece of code to paying customers. The answer appears to be Yes. The product forum is full of complaints and Asus is using the paying customers as beta testers. Telling them to run scenarios and post results, requests for screenshots, requests to download the debug tool, recording errors and uploading them to Asus so that developers can look at the results. Conversations are lead from public forum to private conversations with support. We will improve this problem of the mobile signal strength unstable problem and also expected to conduct a software update plan in the subsequent system version. The big question myself and other customers are asking is why doesn’t Asus stop this upgrade from being available and spread problems? Why don0t they offer “over the air downgrade”? Why do they keep their paying customers as their free beta testers? Why are they giving suggestions to reset the phone if they know there’s a problem? 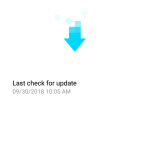 Can Asus help me with this broken Oreo update? If you post in the forum, the first line of reply will be to give them some answers like “Does this always happen?”, “How often have you seen this?”, “Is there any app that you are using?” and similarly useless questions. The second line of replies are in a form of trying to be helpful like “Clear app cache”, “Use the phone in safe mode”, “Turn flight mode on and off again” and similar. Sometimes they will just say “Factory reset the phone”. Does factory reset solve Oreo problems in Zenfone Max Plus (M1)? That being the often used suggestion in the official support forum, I was also wondering if this helps or not. Please note that factory reset erases all you data, settings, apps and you wind up with an empty phone that you have to set up again from scratch. The exclusion to this are the files that you have on the SD card, for example photos saved to the external memory. I tried factory reset several times and didn’t fix anything. If Asus tells you to try factory reset to solve their bugs, don’t bother. 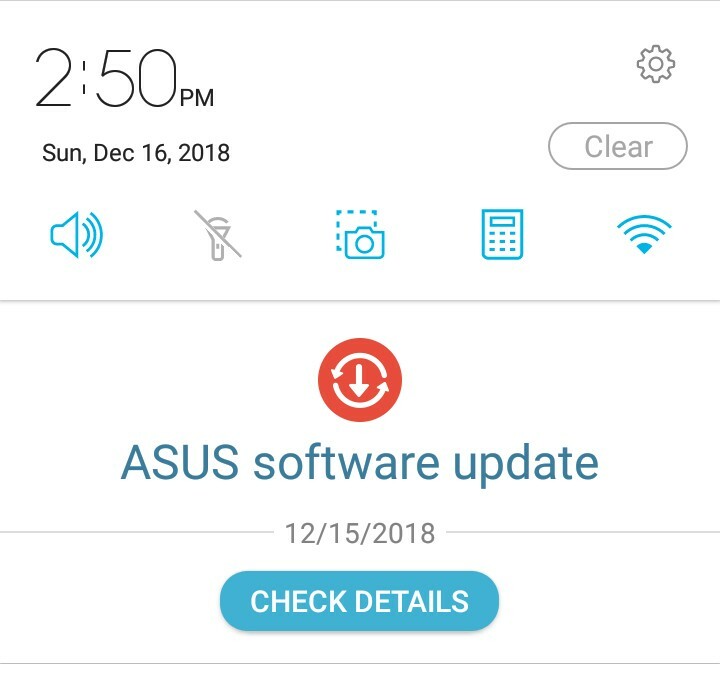 Naturally, people beg Asus to enable them to downgrade the phone or to update it backwards as this seems to be the only way to make the phone usable again right now. Can I revert Zenfone Max Plus back to Android 7.0? The answer is Yes, but it won’t be easy. The official answer is to bring the phone to Asus service center and they will downgrade to Android 7.0 free of charge. That being said, some people got charged for the downgrade. Also, some people have the closest Asus service center several hundreds kilometers or more away, so they have to pay for the shipping and getting a temporary replacement phone. The other option is to download firmware by yourself and update the phone with it. Note that this is a process for technically advanced people and that it breaks phones warranty. Not the best way to go, apparently. When will the next firmware update for Oreo be? If you’re stuck with Oreo and all it’s problems and you can’t get back to more stable Android 7.0, you are probably wondering when will Asus push the next update? The second question is will this update be any good? Will it fix any of the new bugs and problems it brought? Usually Asus sends updates for Zenfone Max Plus one time per month (with the summer exception). If they keep this schedule the next update should be ready in the following days. The last one was on November 14, 2018, so the next one is expected in the middle of December 2018, which is about now. 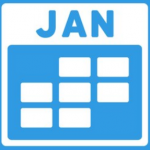 Stay tuned to see if the next version from 15.02.1810.347 will be any better and if it’s worth to upgrade or still not. Ya.. My phone problem since December 18 till now.. No solution. Asus CEO please do something.